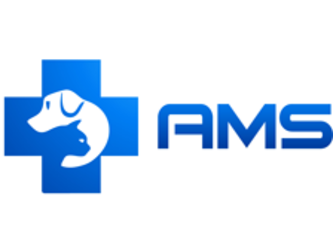 Animal Medical Services began as a single veterinary hospital, which has been providing animal care to the local community of Sydney for over 40 years. All of our cats and kittens are surrenders or strays that have been brought into the clinic and raised by our dedicated staff. 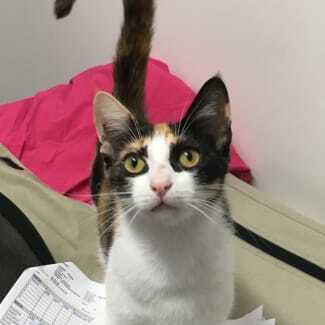 If you think you have the purr-fect forever home for one of our wonderful companions, please give us a call! We were brought into the hospital from the pound with our mum! We have been on a big journey and we are still so little! We are now looking for our forever homes. 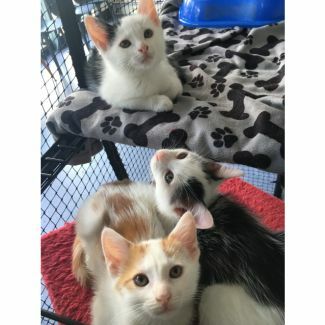 We are snuggly, playful babies and would love to find a home to settle into! Alvin and Simon are black and white and Theodore is ginger and white. 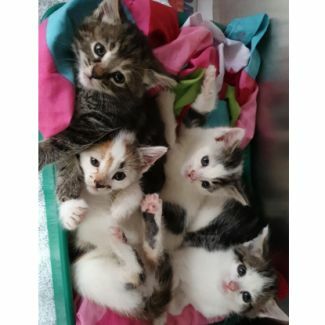 These bundles of cuteness are all looking for their furever homes! These gorgeous kittens were unfortunately dumped at our doorstep and were found one rainy cold morning by our staff. They were understandably really scared, cold and starving! Since then they have made great progress and are full of cheekyness and love their snuggles. Inky, Blinky and Pinky are girls and Clyde is the only boy!